What Color Should I Stain My Kitchen Island? 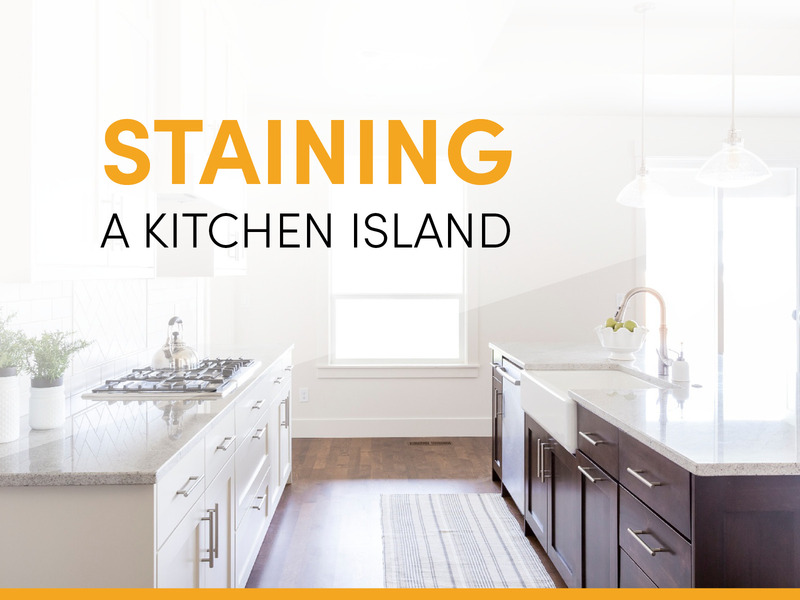 When staining your kitchen island, pull a dominate color in your kitchen floor. This is one of my very favorite looks right now. Not only because it adds dimension to the all-white kitchen but because it hides kick marks and wear and tear that a kitchen island typically endures. The way to get this look right is to tie it into whatever your floor color is. Most of the time this means pulling one color that is dominant from your flooring and using that as your stain color for the island. I find it most effective to pull the darkest color from the flooring which makes the island stand out from the white surround cabinets and ultimately end up with a color palette of light, medium and dark tones.